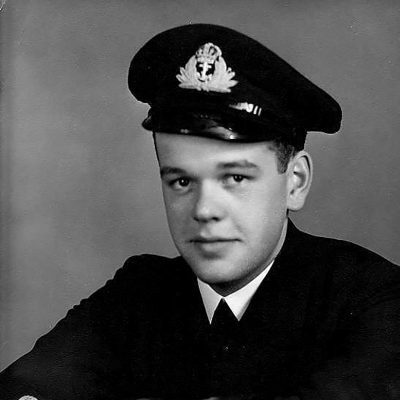 Lieutenant John Alan Schwarz served with the Royal Canadian Navy and was one of seven officers killed onboard HMS Whitaker off the coast of Ireland in 1944. Canadian seaman John Alan Schwarz was known to family and friends as Jack. He died on board HMS Whitaker as the British frigate was hit with torpedos off Malin Head, Co. Donegal. Lieutenant John Alan Schwarz served in the Royal Canadian Naval Volunteer Reserve during World War Two. Known as Jack, he was the son of Edward R Schwarz and Mary Letitia Schwarz of Edmonton, Alberta, Canada. Jack died on 1st November 1944 aged 23 years old. He was on board the 1,300 ton British frigate HMS Whitaker (K 580) when torpedos fired by U-483 struck. U-Boat commander Hans-Joachim von Morstein fired two torpedos at convoy SC-159 at 0207hrs on 1st November 1944 off the coast of Malin Head, Co. Donegal. Hearing two detonations, he though he had sunk two steamers. HMS Whitaker lost the entire bow forward of the bridge as the forward magazine exploded. The ship was less than a year old having been laid down in 1944 at Belthlehem-Hingham Shipyards Inc, Hingham, Massachusetts, USA. Temporary Acting Lieutenant LJ MacLachlan. Temporary Acting Sub-Lieutenant MG Clark. British rescue ship Aboyne saved some wounded crew members. Over the following 2 hours, the crew extinguished fires and halted the flooding. The stricken ship made it first to Londonderry Port, Co. Londonderry and later to Belfast, Co. Antrim. The Admiralty declared the frigate a total loss and it returned to the US Navy on 3rd December 1945. John Lee of Belfast, Co. Antrim bought the wreck for scrap on 9th January 1947 and broke it up the following year. If you enjoyed this post on "John Alan Schwarz", please share with your friends and followers.